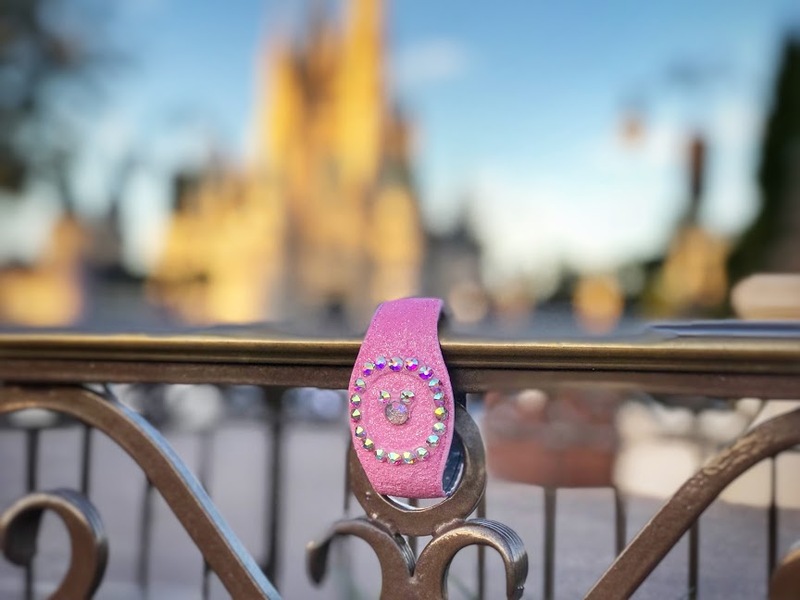 Want to add a little sparkle to your Magic Band before your next trip to Walt Disney World? 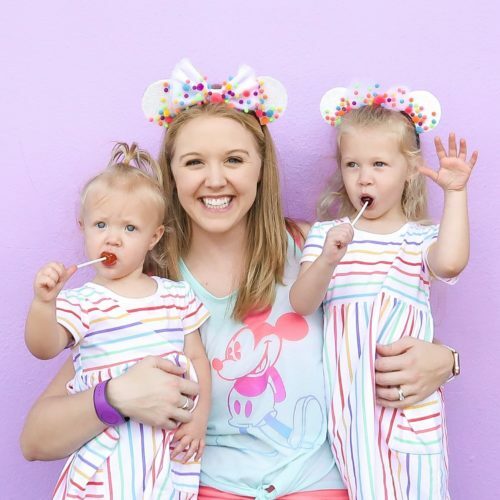 This DIY Glitter Magic Band tutorial is surprisingly easy and will add extra dazzle to your pass to all things magical. The process is demonstrated in the video below, but here are step by step instructions too. Paint the Magic Band (outside only). Let each layer dry completely and apply as many coats as desired until you have full coverage. Apply one more coat of paint, sprinkle on fine loose glitter before the paint dries. Apply Mod Podge and leave overnight. Spray with Acrylic Sealer to ensure it is water and sweat proof. Let dry 1 hour. Use E-6000 glue to attach rhinestones in desired pattern. Be careful not to get this glue on your skin and use in a well ventilated area. Let dry overnight before wearing to park. 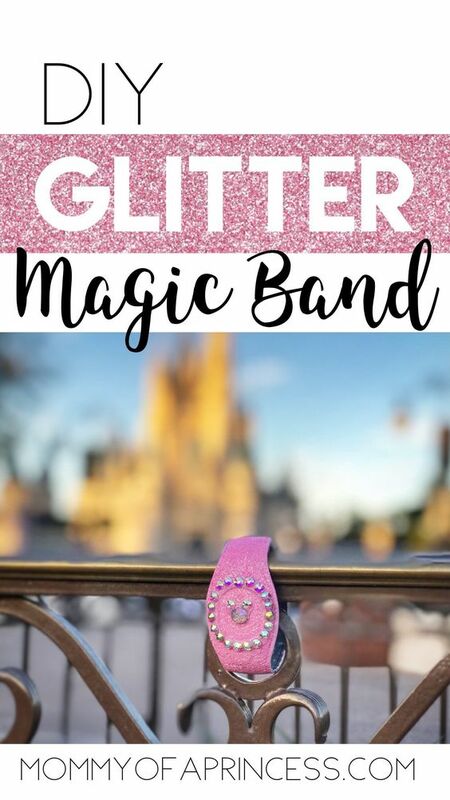 Wear and enjoy your glitter Magic Band! First trip to Disney World? Be sure to check out my tips before you go! Pin this below for future use! How did it hold up in the parks? I’m curious if it will last through the water parks, and not start to peel? Hi Heather! Thanks for reading! It held up great at the parks! I’ve worn it on 3 trips now (two of those were overnight trips) and it hasn’t peeled or come apart at all. I’m not sure it would withstand chlorine water at the water parks though if you plan on visiting those on your trip too ? I have a collection of about 5 magic bands I rotate through so I’m always looking for new and fun ways to make them unique ?